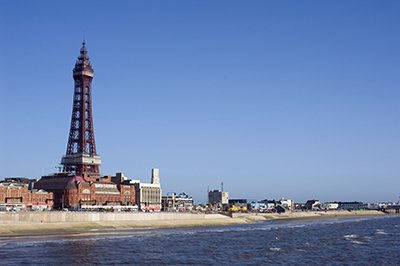 A Blackpool PlusBus ticket gives you unlimited bus and tram travel on participating operators’ services, around the whole urban area of Blackpool town, as shown by the travel maps (below). Blackpool Transport (buses & trams), Stagecoach. Tickets valid for travel on the famous seafront trams, between Starr Gate (near Pleasure Beach) and Cleveleys (Thornton Gate). BLACKPOOL N+BUS (J810), BLACKPOOL S+BUS (J811).